If you were among the unlucky people who purchased Last Ninja 3 on Virtual Console, you were no doubt quite annoyed that the game would, without fail, freeze after the first level, making any further progress impossible. Nintendo recently announced they would be removing the game from the Wii Shop, and have since done so. Commodore Gaming is now sending out apologetic.. 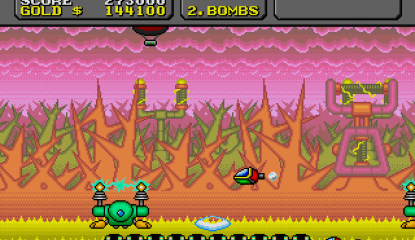 There's eleven new games this week, but don't get excited right away - five of them are budget DSiWare versions of commercial disaster Electroplankton. WiiWare gets the previously announced Excitebike and two more games, while Virtual Console gets two rather unremarkable games. 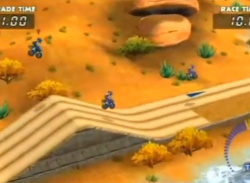 Excitebike: World Rally is obviously the biggest..
Nintendo finally releases their quirky new WiiWare game. 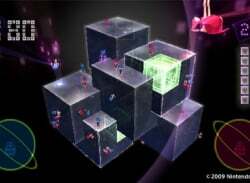 As it was already announced some time ago that Nintendo's latest WiiWare offering, You, Me and the Cubes would be released in North America during the summer, it was pretty much a given it would come out this week - This week has the last update of the summer, after all. It's accompanied by some relatively uninteresting other WiiWare and..
Three more WiiWare games, including the 100th WiiWare release! 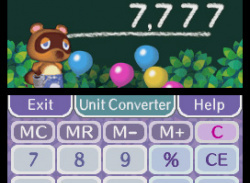 If you want to pay for something the DSi already has it's your lucky day! This week offers no real surprises for Europe. One game was released in the US last week instead of ClayFighter, heavily hinting it would hit Europe soon, and the other game was bound to come sometime! 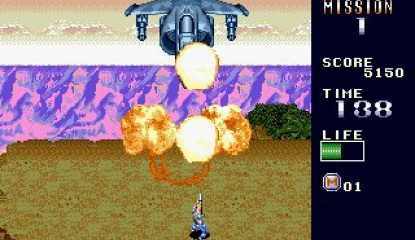 Wolf of the Battlefield: MERCS is the second game in the Commando series. You can take control of one of a number of muscular characters as you trek through jungles, mountains and villages blowing up.. 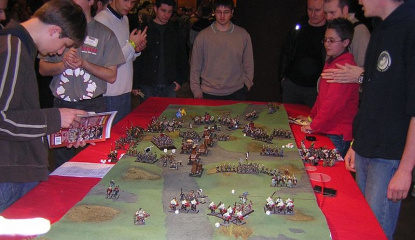 Some of our readers have informed us that there's another C64 interview available on the Nintendo Channel in select European countries - This one's with Ian Livingstone, the co-creator of Games Workshop, nowadays mostly known for their Warhammer franchise of board and videogames. Ian also created Fighting Fantasy, a popular choose your own adventure book series. As in the John Rowlands interview,.. 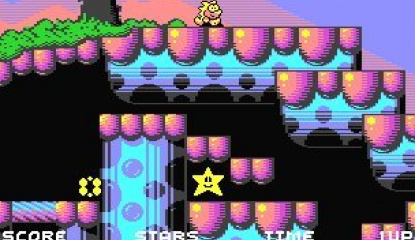 If you live in the UK and you've got the Nintendo Channel installed you can now watch an interview with a popular C64 developer - John Rowlands, the creator of Mayhem in Monsterland, Creatures 1 and 2, and other classics. 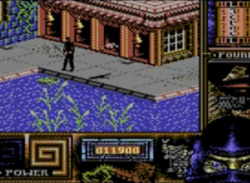 Strangely enough the video isn't available in most European countries (And obviously not in the rest of the world either), but not to worry, as a kind soul has already recorded..
After a short hiatus, the Commodore 64 is back with two new games - One is easily one of the most stunning games on the system, while the other is a good platform/action game. 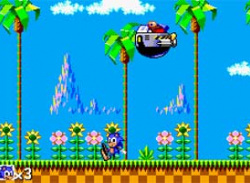 They're accompanied by a platformer on the Mega Drive. Last Ninja 3 is the final part of the Last Ninja series. 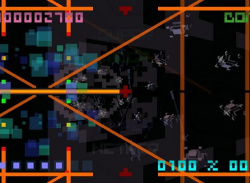 It's basically more of the same - Explore your isometric surroundings to find key items, kill enemies and solve..
A very nice surprise for Commodore 64 fans today - Out of nowhere, Commodore has released one of their most popular games. Accompanying it are two Sega classics. 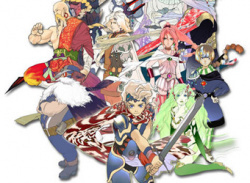 Today's releases include Europe's 250th Virtual Console game! We're not quite sure which of the games Nintendo considers to be the one, but all three of them are absolute classics. 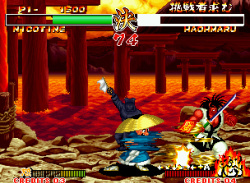 Obviously, Samurai Shodown II is the pick of the bunch. We got International Karate +, a fantastic fighter, only two weeks.. It seems this week is some sort of "arcade week" in Europe, as there are three new games which all have distinct arcadey gameplay. If you don't like karate, painting roads or golf, then this week is not for you! 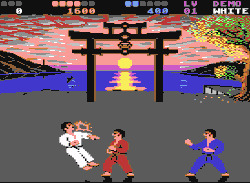 International Karate + is the extremely popular sequel to the original International Karate. Aside from allowing up to 3 fighters in one battle instead of 2 (Although one of them..
After this week, it is rather safe to assume that Nintendo of Europe is indeed following a pattern. 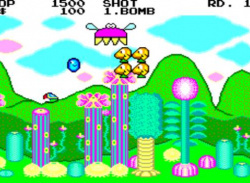 There's 5 new VC games to pick from, and like two weeks ago, no WiiWare games. 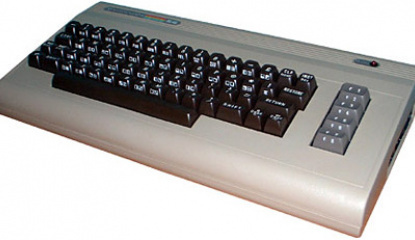 Some good news for Commodore 64 fans today. Two aging classics have been rated by the German ratings organisation, the USK, so we expect them to be on the Virtual Console in due course. 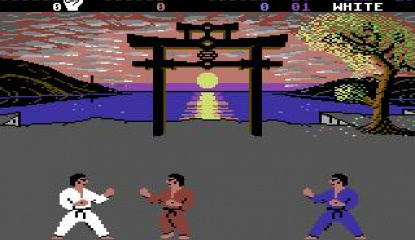 International Karate+, or IK+ to its friends is rather obviously the sequel to International Karate which is also on the VC. It was released almost a year and a half after the original in 1987. 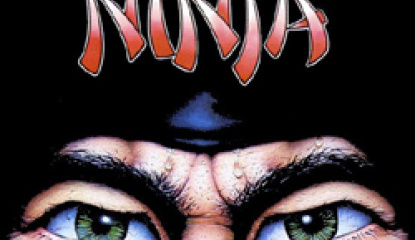 IK+ also features a..
News EU VC Releases - 13th June - The Last Ninja 2, Alex Kidd and more! 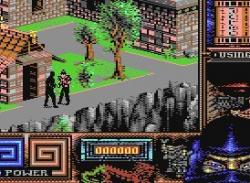 Last Ninja 2: Back with a Vengeance is quite similar to the first game (also on VC), featuring the same isometric gameplay with fighting and puzzles to solve..
Seemingly copying the US, Europe's VC only gets one new week. However, because WiiWare launched earlier this week, that makes Europe the only region to get a VC game in the same week as the WiiWare launch (Australia doesn't get C64 games, so we assume they get nothing today!). 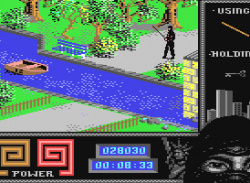 It seems every two weeks we get a Commodore 64 week now - No complaints from us, especially when it means that we get The Last Ninja, an excellent action platformer/puzzler hybrid featuring an agile ninja with a whole assortment of weaponry. 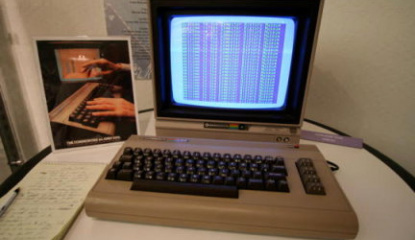 The game was incredibly well-received in its day, being the number one selling original creation on the Commodore 64. Accompanying it is World Games. 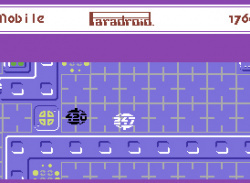 In a..
Now that the Commodore 64 is firmly established on the Virtual Console (at least for Europe) it seemed like an opportune time to compile a list of C64 games that I feel deserve a home on the Virtual Console. If you like the number 64 you're in luck today - Not only are there three new games, they're all for the Commodore 64 and Nintendo 64! Obviously this also means there's now a new system on VC. Commodore 64 games cost 500 Wii Points each. As the C64 is arguably bigger news than a new N64 game (It's not that great of a game anyway), its two games are our "top picks" this week. International.. 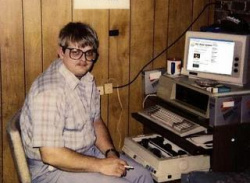 In 1982, TIME magazine named the home computer as its annual "Man of the Year". 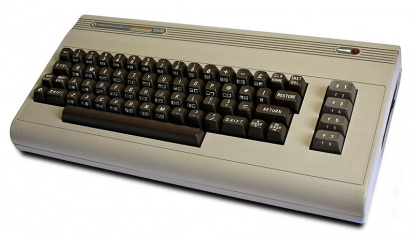 We've been contacted by a mysterious insider who insists he’s on the team that is currently preparing the new C64 channel, which was officially confirmed last week. 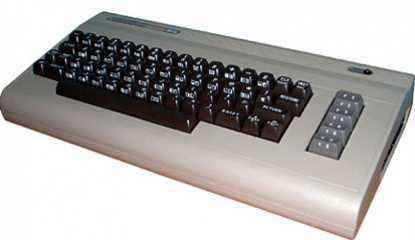 Here are some of the things he's spoken about so far: Each C64 joystick port is individually mapped to each Wii device (be that Wii Remote, Classic Controller, or GC Pad) A popup 'Virtual Keyboard' is featured and is toggled at the..
News Commodore 64 games to join the Virtual Console! Home computer nerds will be dancing in the streets at this latest piece of VC news. 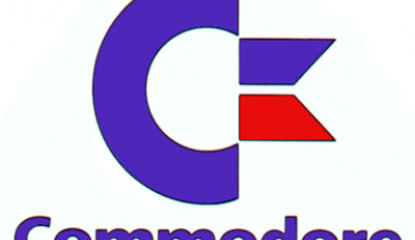 We have it on the highest authority that Commodore 64 games will soon be coming to the Virtual Console. 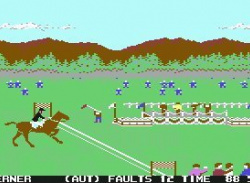 Although no specific titles were named, the indications so far are of titles from now defunct U.S. developer Epyx who are best known for their work on the 8-bit Commodore 64 home computer. 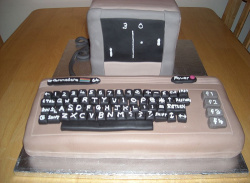 Epyx also designed the..